The North York Moors are a wonderful place to go if you are looking for peaceful walking. Miles upon mile of upland moor are the draw to those who visit the National Park and the walks, seemingly desolate in winter but beautifully coloured in summer and a glorious purple of blooming heather in late summer/ early autumn are loved by all who frequent them. 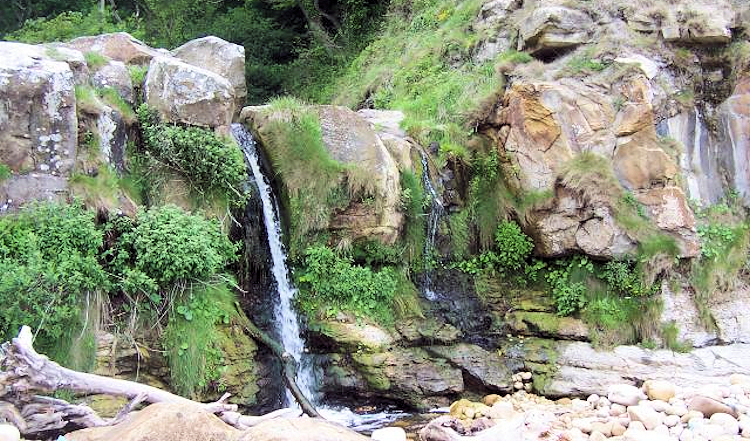 Despite the the wealth of upland drainage, the waterfalls of the North York Moors are not particularly acclaimed. Some, like Falling Foss are well known locally but none can claim the reputation of ones like Gordale Scar in the Yorkshire Dales or Aira Force in the Lake District. This list should address that neglect. It would be nice for some readers of this page to make out a plan to visit all walk all on the list. I guarantee all who do will enjoy the outcome. For instance you can fashion your own walk to find treasures like I did when combining exploration of Thomason Foss & Mallyan Spout in the Goathland Waterfall's Walk. I am doing all of them for sure, so should you. 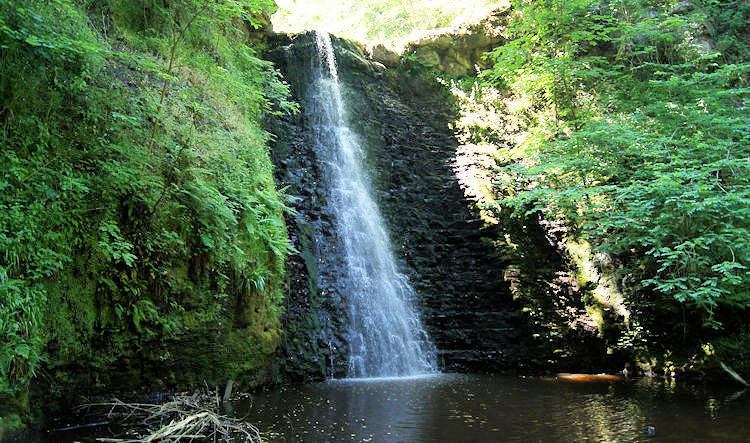 Falling Foss lies deep in the heart of Little Beck Wood which is walked through by all long distance Coast to Coast walkers. 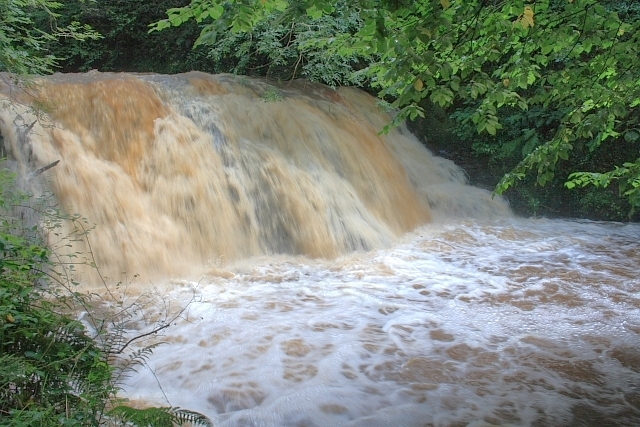 As it is with waterfalls the 30 feet drop is particularly impressive after a spell of rain. A walk to the waterfall leads through rich, semi-natural woodland on either side of the Little & May Becks. You will also see the Hermitage which has been carved from a massive boulder - there is a viewpoint there too. 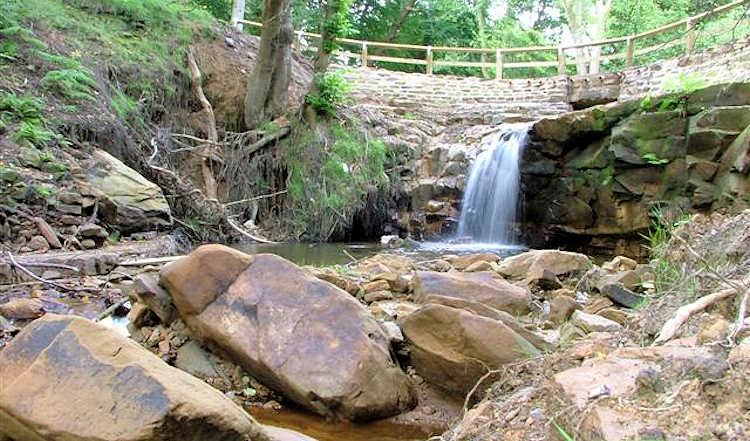 Thomason Foss is found just north of Goathland in Eller Beck as it makes its way to join up with the River Esk. 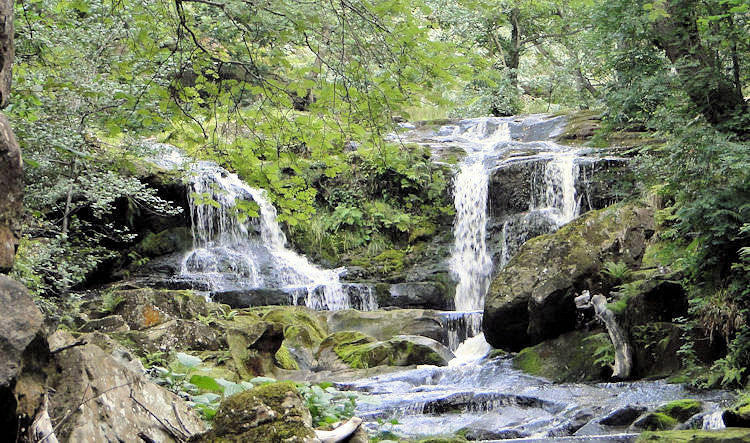 You could easily plot a lovely walk visiting Thomason Foss and the other noted waterfalls in this locality by starting from Goathland and following Eller Beck north to its meeting with West Beck then following it south to Mallyan Spout before heading back. At four miles it would be a lovely short walk. 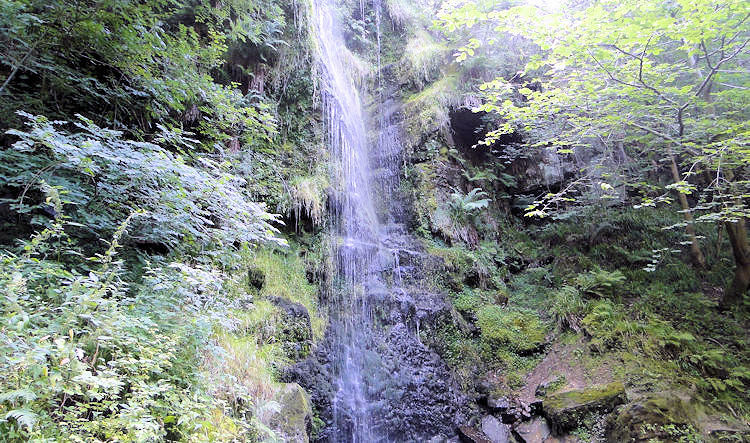 With an impressive drop of 60 feet, Mallyan Spout is the highest waterfall in the North York Moors. With a path passing right by the waterfall you can get a close upimpeded view of the spout which is best after a good deluge of rain. In dry weather, like Hardraw Force in the Yorkshire Dales the spout can be a disappointment with just a trickle dropping from the heights above.